Not sure it would have made a big difference with the awful conditions last weekend, but I'll definitely keep this in mind if I do much more trail running as the year progresses. I was in my normal Asics road running shoes. Thanks for the great review. Very cool to win shoes, especially trail shoes when you didn't have any! I love mine, and they definitely make a big difference. I wore regular running shoes for my first two trail races: Skippo 20k, where conditions made the traction thing not an issue, and Pere Marquette in 7.5 mi of ankle-deep mud, where nothing was going to make it better. Where I notice a HUGE difference with trail shoes is on rock. When I'm running on rocky surfaces, after a while my feet start feeling beat up. The greater protection of trail shoes makes it a lot better. I will say I was a little disappointed in my new trail shoes (Nike Pegasus Trail) in that at the SHITR, but I'm not ready to give up on them. Holy cow... a 3 minute PR! If its the shoes then you scored! Great review Mike, and I'm glad you're enjoying the shoes! Wow I wonder if they'd be good on ice? 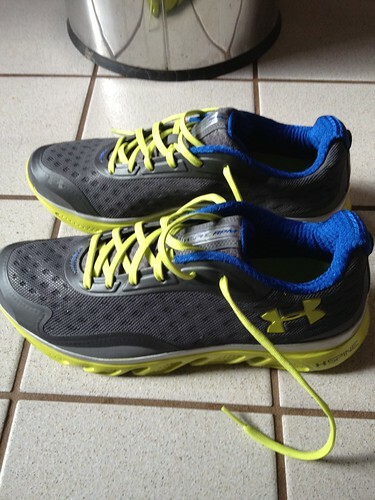 I wear a trail shoe now but these sound good! 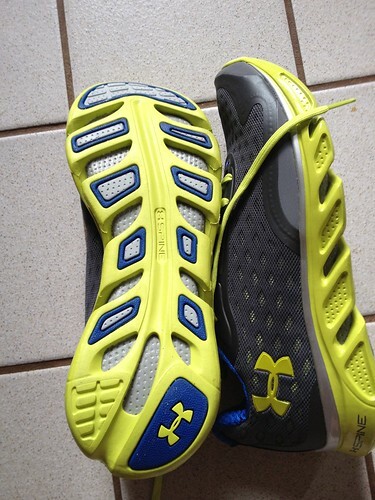 UA gear just keeps getting better and better. 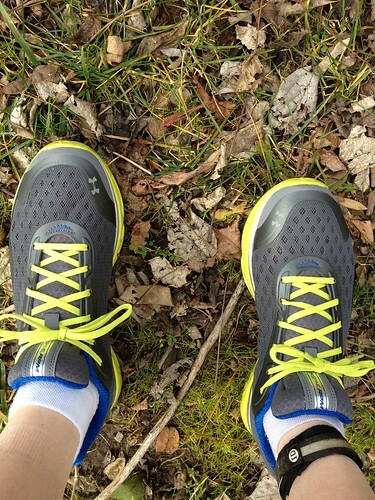 Traction is a big difference in road vs trail shoes. After the SHITR though I think I might want something with a rock plate. IMSW is my full race, I do not think my body could handle 2 140.6 in a year. Are you thinking of doing the half instead?